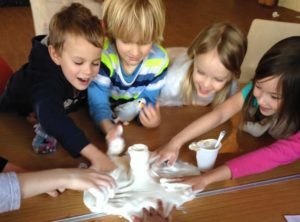 Fun Science Bath runs hands on science sessions for home educated children in Bath, Taunton, Calne, Shrewton, Kingsbury Episcopi and Swindon. 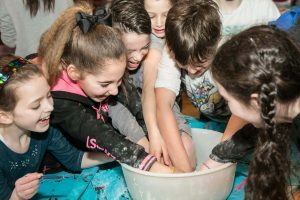 Activities are influenced by what the children want to study and past topics have included chemical reactions, space, explosions, the human body, gravity and much more. Sessions run in Odd down, Bath, every other Thursday from 10:30am-11:30am and are suitable for children aged 10+. The price is £6 per child. If you would like more information or to be notified when our next block is starting then please email bath@fun-science.org.uk . Sessions run in a private home in Stockley (near Calne) every other Monday from 11am-12pm and are suitable for children aged 10+. The price is £6 per child. If you would like more information or to be notified when our next block is starting then please email bath@fun-science.org.uk . Sessions run in Kingsbury Episcopi community centre on the last Thursday of every half term from 12:15pm-1:15pm and are suitable for home educated children aged 4-14. For more information including exact dates and prices please email bath@fun-science.org.uk. Sessions run in a private home in Shrewton every other Monday from 11am-12pm and are suitable for home educated children aged 5-9. If you are interested, please email bath@fun-science.org.uk.